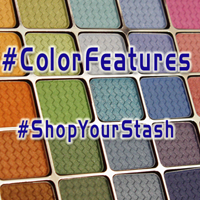 One of the first colors that caught my eye, when promo pictures of this collection were released. It's not really similar to any orange-sparkle polish that I own: partially because I don't own too many…but also because, I think generally, “deep orange sparkle” isn't a color that shows up in too many nail polish collections. 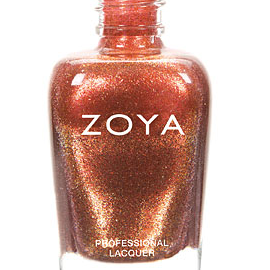 Zoya's Autumn has more brown tones that Zoya's Myrta, it's less peachy than Zoya's Tiffany, and it's deeper and more saturated than OPI's Pros and Bronze. 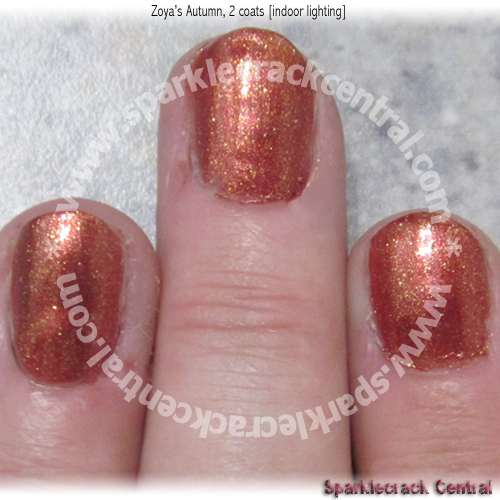 Coverage is good, and the polish is about as durable as most other Zoya polishes. Touch-ups, if necessary, are a little easier - you don't have to worry about color or texture “lines” because it's a textured multicolor polish to begin with.